Web Design High Wycombe was a pleasure to deal with from start to finish. They not only took time to understand my company and exactly what I wanted but also made time to talk me through the process to make sure I was kept up to speed. They were always available and pleasant to deal with, making a daunting task a pleasant one. I have had the most wonderful feedback on my new site and would not hesitate to recommend Web Design High Wycombe to anyone. Should also mention their patience with a technophobe like me was admirable! Innovative and effective approach and easy to work with. Web Design High Wycombe built us a great site, and are always fast and efficient when we need updates done to the site. Would recommend to any business needing a new site or maintenance on an existing site. Web design High Wycombe were recommended to me by a friend who uses their services. I was looking for a complete re design of my website and after all the positive feedback I have had from customers old and new, I am so glad I decided to use them!! Very professional and easy to work with, Nothing was too much trouble and I was dealt with in a language I understood(no techy jargon)!! I would highly recommend WDHW to anyone who is looking for a service that is very customer focused, reliable and passionate about their work. Web Design High Wycombe offer a great bespoke web design service, especially for the 'novice’ customer - They were patient, responsive and communicative at all stages. Web Design High Wycombe has built 3 excellent websites for me now. They are a pleasure to deal with as well as being professional. The whole experience was made easy from start to finish, with superb advice from Simon. I would highly recommend WDHW for all you web design needs, thumbs up from DentSpeed LTD!!! I chose WDHW for my logo design project partly through testimonials and also their pricing for small businesses. The team were professional and easy to communicate with. It was really useful to have unlimited amendments without incurring extra cost. Although they were so good at listening to my business plan and interpeting my requirements that changes were minimal. Not only is the website fantastic, it was also thoughtfully designed to suite the ethics and background of my business and its market. All requirements were beyond met. Furthermore, communication from Web Design High Wycombe throughout the project was always speedy, informative and friendly. I am absolutely delighted with the website Simon and the Web Design High Wycombe team have built for me, it is exactly what I wanted. All my questions and requests were dealt with promptly. I have also learned from the experience. Excellent communication, professionalism and customer service. Thank you very much. It was so nice to do business with someone who delivered simple solutions to the problems with my website on time and to budget, without trying to shove other products or services down my throat. And not a word of patronising techie jargon passed your lips! WDHW has done a brilliant job of rebuilding my website, I wouldn't hesitate on recommending them to others. Simon has also done a very good job of marketing my Facebook and Twitter pages. Very pleasant to deal with, whilst remaining professional throughout the entire process. Many Thanks! Web Design High Wycombe's expertise and advice throughout the design process has been invaluable. The on-going SEO work has improved our website hits, lowered the bounce rate and has optimised us for search engines. We couldn't recommend WDHW highly enough for the fantastic work, continued support and advice. Very helpful and friendly service. Always very happy and quick to answer any queries I have. Highly recommended company. My website is now finished and I couldn't be more pleased with the end result. I didn't have a clue about web design, SEO's, parallax's it was like a foreign language but Web Design High Wycombe guided me through it all with patience, making changes whenever I requested and adapting my creative ideas. Visual impact is paramount for my business and my website now says it all. Thank you Web Design High Wycombe. I am extremely pleased with the service I receive from Web Design High Wycombe. All aspects of web design and hosting taken care of with the utmost of professionalism. Web Design High Wycombe created an excellent website for our club. Tailored to suit the needs of our club and clients it is eye catching, easy to use, very well set out and above all really easy to maintain and update. They make everything so easy and hassle free, so much so that they've done 5 websites for us. Simon works quickly, hits deadlines and responds with a smile when we decide we need something slightly different. Recommend working with them every time! Really helpful from start to finish, loved the lack of techy speak! Now up and running without the stress of old web company I used to use. Highly recommend. Fantastic service and support throughout the duration of the website project. Went that extra mile to ensure I understood everything that was happening. I'm a very happy website owner now! The team at Web Design High Wycombe and Simon who helped me through every step of the way were amazing, we started a few years ago as a brand new company needing a website. Through all the guidance we received we were able to continuously update and upgrade our website to reach the amount of growth and customer interest we wanted, we went from receiving one enquiry a week to now receiving several a day. 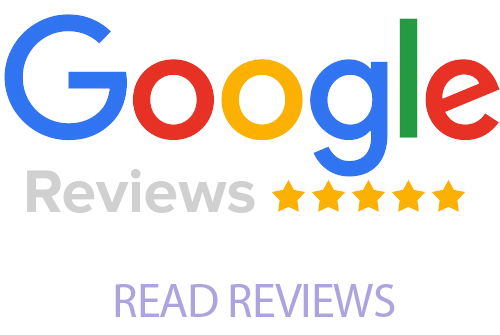 They helped with the blog side of things too and also how to create good content for our site to start ranking better on google and SEO rankings. I would definitely personally highly recommend them as a friendly, professional and with the times team that offer an amazing service. Have used Web Design High Wycombe for many years for a variety of design work. Simon is very knowledgable and I always welcome his opinion. We're currently have our website being redeveloped and I have no doubt that the result will be fantastic. Highly recommend.